Akiko and Amy live in the same apartment building in Japan. Akiko is Japanese. Amy is American. Akiko loves English. She asks Amy to teach her English but Amy says no! This is not a good beginning, but Akiko and Amy become great friends. They spend a lot of time together cooking, going out and sharing stories about their lives. 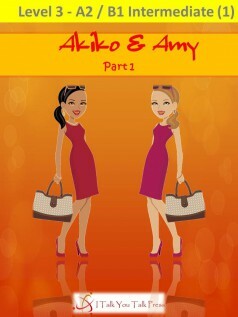 Learn expressions for daily conversation between friends while enjoying Akiko and Amy’s story.